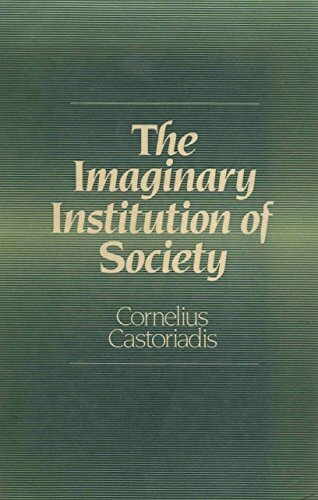 The Imaginary Institution of Society by Castoriadis, Cornelius: MIT Press, Cambridge, MA 9780262031349 Hardcover, 1st Edition. - Archer's Used and Rare Books, Inc. This is one of the most original and important works of contemporaryEuropean thought. First published in France in 1975, it is the majortheoretical work of one of the foremost thinkers in Europe today.